Hello everyone! Long time no see! 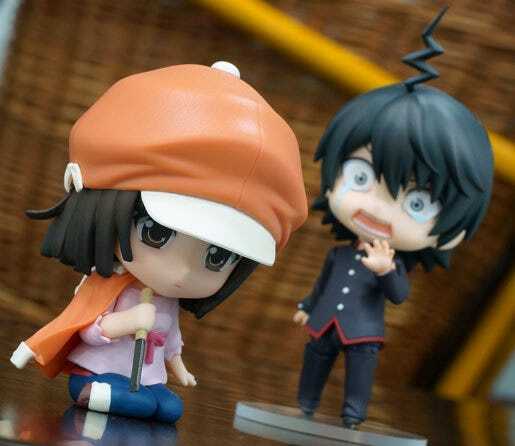 My name is Shuutarou “Chan Shuu” Hirase (@gsc_hirase) from GSC’s planning team! Kahotan (@gsc_kahotan) was away in Nagoya and Osaka over the weekend for the Ciel preorder events and thus I was tasked to take over the blog for today! 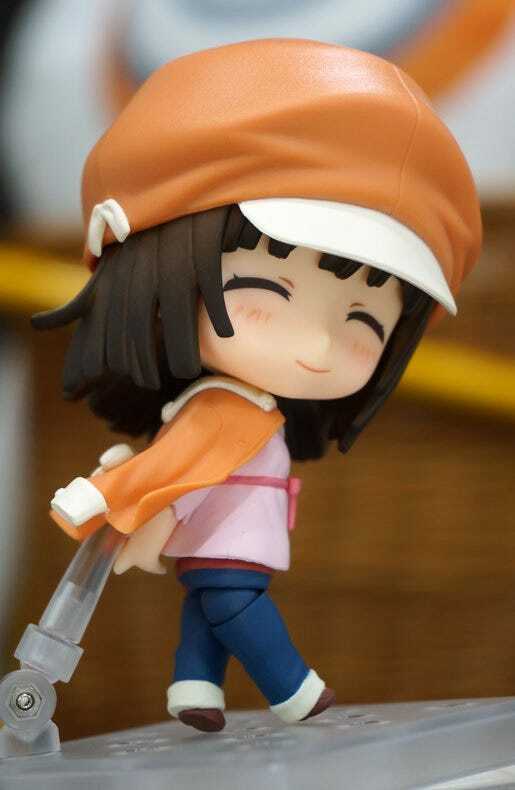 This is the classic Nadeko as she appeared in the first season of the Monogatari series, ‘Nadeko Snake’! She is wearing her adorable casual outfit! Her huge hat as well as the jacket she wears around her shoulders can both be removed! I’ll show you how that looks a little later! Sitting Parts and a Chisel! 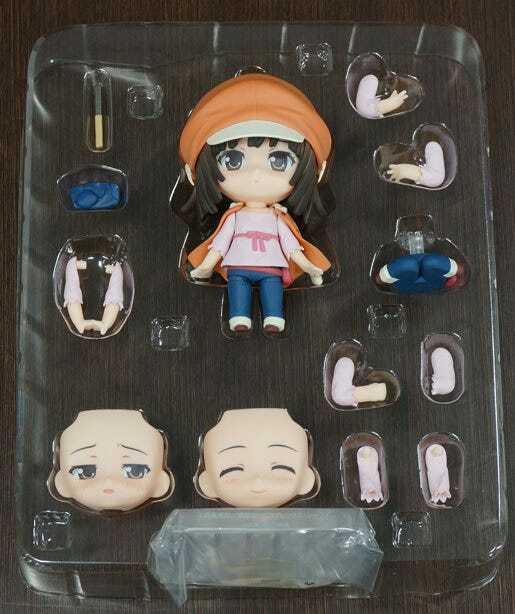 This allows you to pose Nadeko-chan just as she looked during this scene in the series! 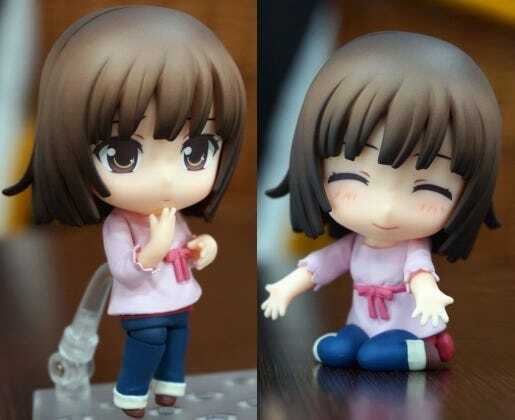 The sitting parts are adorable! Smiling Expression + Hands Behind Back! You can also pose her in a much more playful, innocent pose like this! The arm from the base is made slightly thinner than normal making sure it doesn’t get in the way of for poses like this! Right! Let’s see how she looks without the hat and jacket! The parts are not connected by any specific joint or anything, they’re held in place by the shape of the sculpt – meaning you can attach and remove them with ease and have her looking perfectly natural without them! 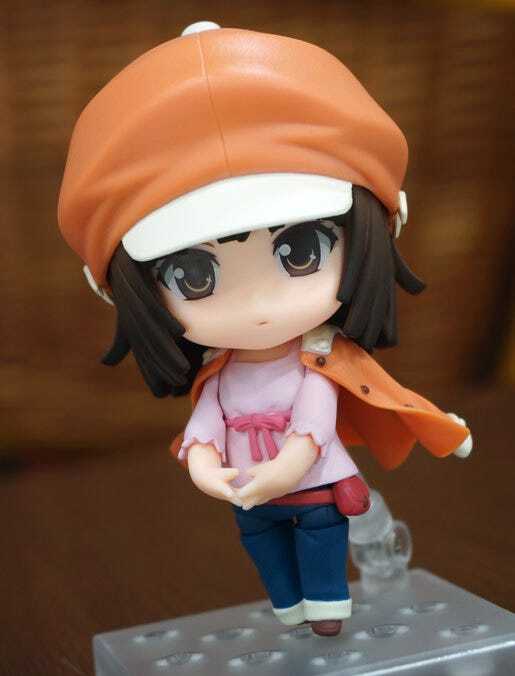 She also comes with the lovely embarrassed expression you can see here – she can even be posed as if twiddling her fingers too! She also comes with a folded up swimsuit! The swimsuit!! 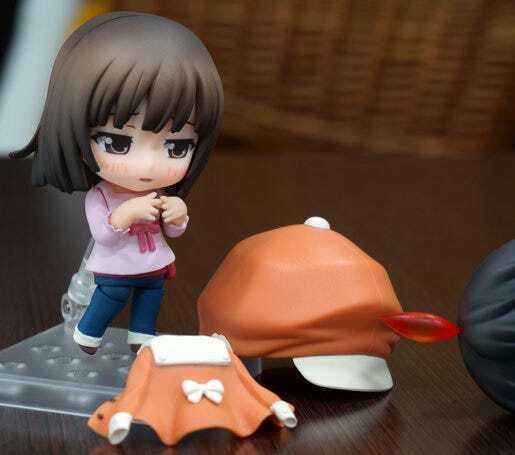 After ‘Nadeko Snake’ has come to an end, Nadeko returns this swimsuit to Araragi… making for a very memorable scene that is lovely to see in Nendoroid size! I always loved the shout of victory at the end of that scene! 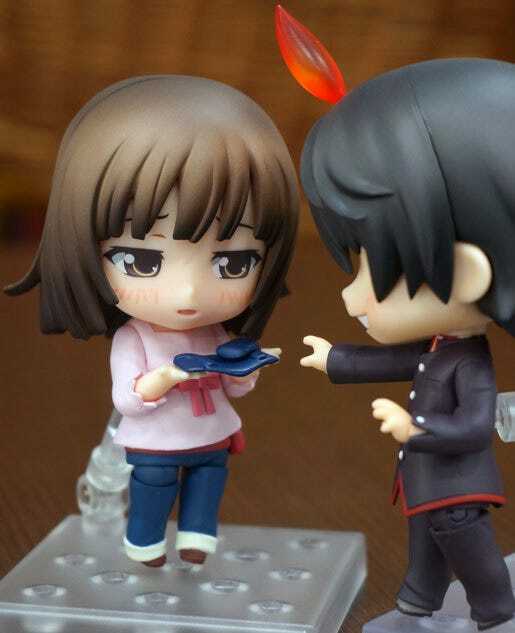 Without the hat you get a nice close look at her expressions! The left is the standard face, which actually has slightly worried looking eyebrows! 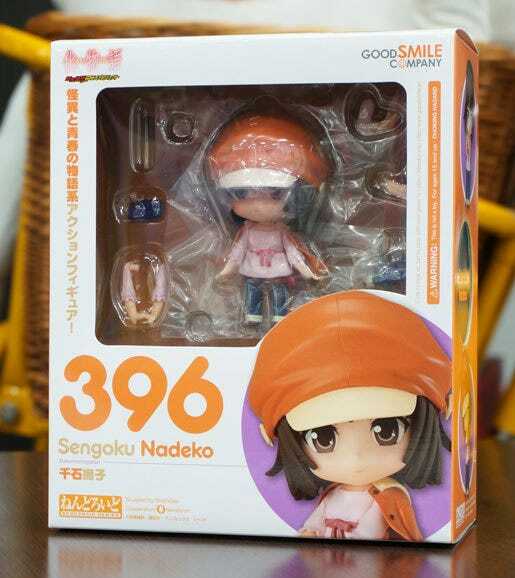 Nendoroid Nadeko Sengoku is planned to ship out from GSC next week! 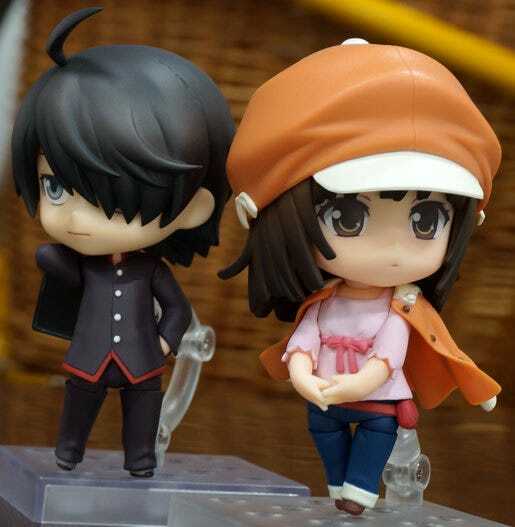 Also remember that Nendoroid Koyomi Araragi is up for preorder from tomorrow at 12:00JST! They look great together! Keep your eyes on the GSC Site for more details!